I love this author duo’s Lizzy and Diesel series, so I was excited to read their newest series, and it’s a book that grabs my attention right of the bat. Curious Minds does a great job of getting to the action with no slow build-up. 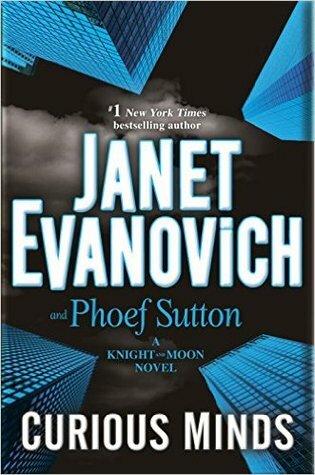 This book contains the wit and humor of a typical Evanovich book, which is always lovely, and combines it with a sense of conspiratorial thrill. The characters and their overall interplay with each other was exciting and engaging, however the plot felt overly complicated and although I understood the basics of what was happening, the intricacies was hard to follow. In a pairing by the way of Sherlock & Watson, or Robert Langdon & his educated sidekick, Emerson Knight & Riley Moon are a great combo of curiously quirky and straitlaced sarcasm. Where Emerson is an eccentric millionaire, Riley is a green financial advisor fresh from Harvard; both personalities clash to create a foolishly brilliant calamity. The plot of conspiracy and corruption within the government was interesting as it creates investigators out of the twosome. The gist of it is easy enough to follow, but the many cat & mouse chasing and what felt like unnecessary actions, read as plot filler that led to a weird and rushed conclusion. In all, although the plot didn’t really appeal to me, it was the characterization and their harmony that kept me reading. I can’t honestly say I’ll attempt to continue this series, but I do still look forward to additions to their other series.